What makes up a perfect smile? White teeth? Straight teeth? Teeth with pleasing proportions relative to one another? A stunning smile is more than the sum of its parts. At Endres Gateway Dentistry, we believe that your perfect smile also contains another element—your unique personality. What is a smile makeover? 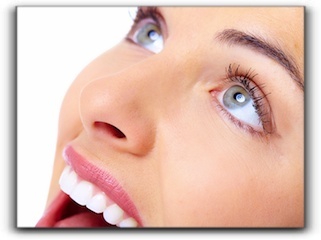 It is a combination of cosmetic dentistry procedures that remedy any problems with your existing smile. If you have teeth that are not structurally sound, you may need a dental crown. The crowns we provide at Endres Gateway Dentistry in Cincinnati blend perfectly with your existing teeth. There’s no “chiclet” effect, where the crown sticks out like a sore thumb. These are just some of the cosmetic dentistry procedures we offer at Endres Gateway Dentistry in Cincinnati. We also treat conditions like TMD. Schedule an appointment with us today.